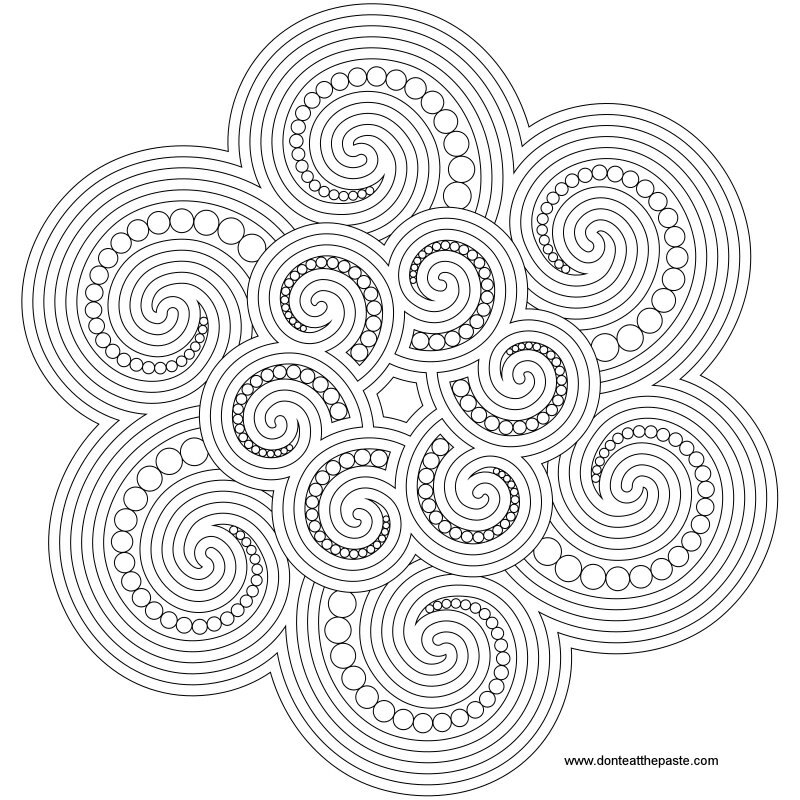 I hope you enjoy this new mandala to color! Click on the images for larger versions, print and color. This is the 1000th post on Don't Eat the Paste, and I just passed 1000 reviews on Amazon.com, as well as hitting that 3 million pageviews marker. It's kind of been a big couple of weeks! When I started drawing mandalas for this site, it was supposed to be one off thing, or an occasional thing. But it got to be very relaxing to draw them and the reception they got from all of you was just fantastic and encouraging. So I kept drawing mandalas for people to color in. A few have been licensed for other material, and they are being used by therapists, educators, libraries and even a couple museums. My readers have sent me scans of the ones they've colored in and I'm pretty sure a very nice guy in Canada named Samuel is the biggest fan of my mandalas. So when I was deciding "What should my 1000th post be?" it seemed like a mandala was the right choice. 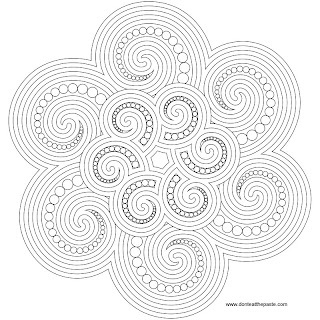 The most popular printable box on this site is one with spirals and dots, so that's why this is a spiraled dotted mandala. Thank you, Liberty, Samuel, lemondedis, Tana (working on those tags for you! ), Kai, freebird7100, MJ, OMazingKids and a whole bunch of other people that I'm forgetting for the constant support and kind comments. Of course a big special thank you to Rachel of OnePrettyThing, and to everyone who pins, stumbles, shares and tweets. Thank you for making my little spot on the internet so much than I ever expected it would be. Here's to the next 1000 posts! Hopefully you all enjoy them. 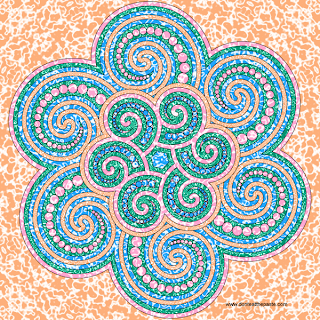 Congratulations & thanks for all the great mandalas you share! We love using them in OMazing Kids. I shared this one along with an invitation for folks to "like" your FB page & subscribe to your blog and a reminder for folks to "tag" your page and include your blog post link when they share your mandalas. 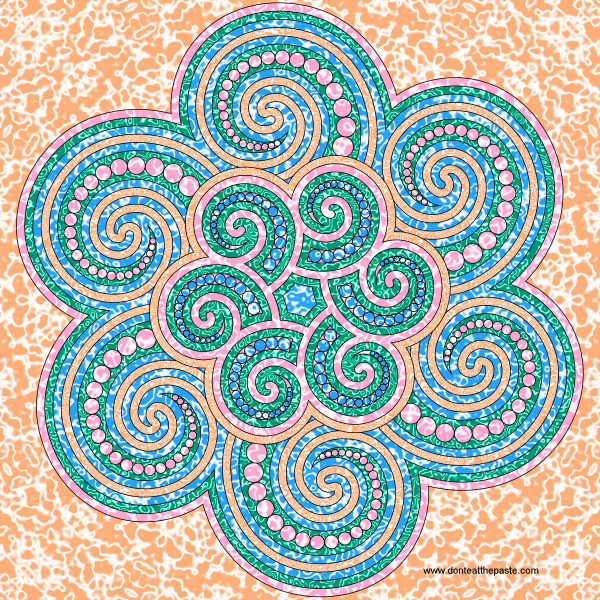 (I had seen a few of your mandalas show up on a few other blogs & pages with no credit).